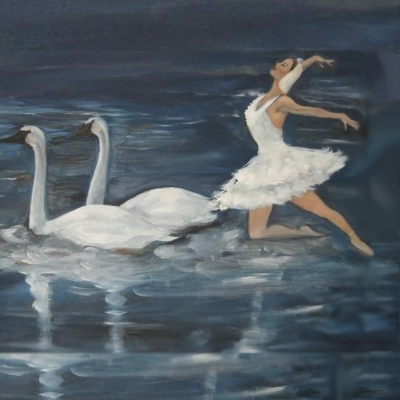 Imagination flies when we imagine a dancer who hugs a swan and dances with him on a lake of waters with blue and green iridescence, with music by Tchaikovsky. 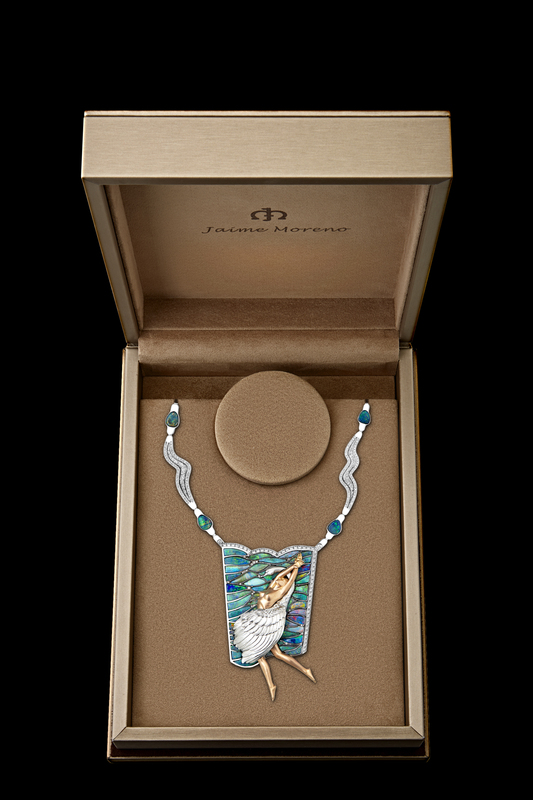 The necklace represents the water that runs through the ground feeding the water of the lake. Modeling in 3D the image of a naked woman and a swan embracing her, prototyping the two figures in wax and fusing them to her in pink gold and the swan in white gold. 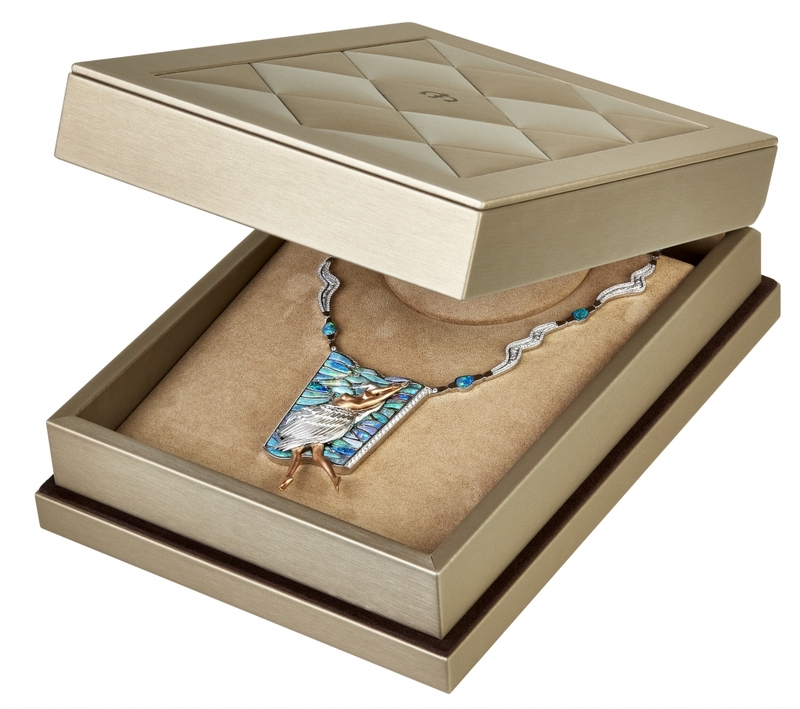 In a white gold frame, small compartments were drawn simulating the movement of small waves, which were occupied by small Boulder opals with blue and green iridescence, carved from different pieces of these characteristics. Diamonds were set on two sides of the main piece and on the contours of the pieces that make up the necklace, which also included some magnificent boulder opals.